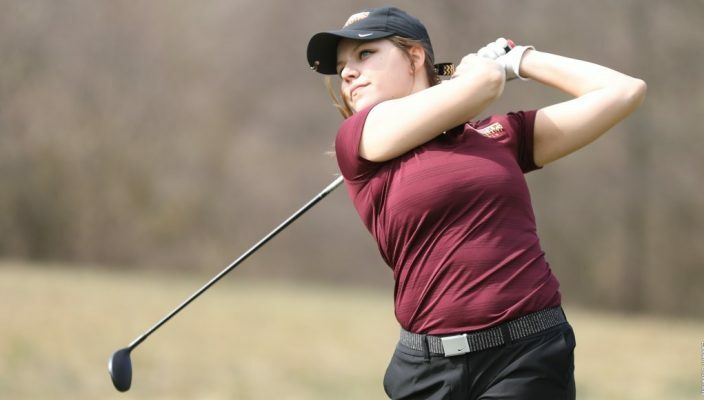 Heading toward Blacklick, Ohio, the Gannon University women’s golf team looked to play its best golf of the season Sunday and Monday, and the Knights wound up 10th in the field of 18 at the NC4K Tournament, hosted by Ohio Dominican. The two-day event featured 103 golfers competing at the Jefferson Country Club. Indianapolis won the overall match posting a record-low score of 588. Gannon wound up at 663. 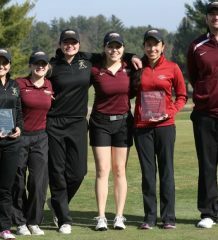 Individually, Diana Munoz led the Knights with a two-day total of 77-83-160, good for a tie for 25th place. Rebecca Red Horse posted a career-low 36-hole score of 162, which netted her a tie for 31st place. Red Horse opened with a 79 and followed with an 83. Overall, Indianapolis’ Paxton DeHaven was the medalist, and the winners dominated the leader board, with four of the top five golfers for the tournament. Karissa Gutherie was the only golfer not from Indianapolis to make the top five, as she placed third representing Northern Michigan. In the tournament’s opening round, Munoz showed a strong effort and was posted at ninth overall. But she slipped to 83 on the second day and finished outside the top 10 for the first time this season. Red Horse’s opening-round 79 was her season low for a single round this year. Red Horse is on a hot streak after her best finish of the year at the Battle of the Bay tournament, where she placed 13th. Despite not placing as well as they had hoped for in the tournament, the team did more than just play golf Red Horse said.”All the tams in attendance were able to participate in the tacky golf outfit fashion show and a birdie battle to help raise money for Nellie’s Champions for Kids, which helps support children with cancer throughout the nation,” Red Horse said. Other finishers for Gannon were Manuela Quevedo (87-80-167), who tied for 44th; Julia Santo (92-82-174), who tied for 63rd, and Carley Sawyer (94-87-181), who tied for 82nd. On Sunday and Monday, the Knights will travel to the Dr. Edwin B. Cottrell Invitational, hosted by West Chester, for a 1 p.m. start. 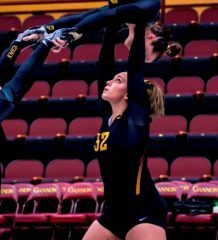 After that they will compete in the Mercyhurst Invitational after Easter Break on Saturday, April 22. Red Horse said in order to prepare for the upcoming invitational the team will keep up with its practices this week. “We’re a pretty driven bunch and I think that drive is going to help us in the coming weekend as we work to improve on the course,” Red Horse said. Red Horse also said that she enjoys being a part of the team because they support each other on the course and are close off the course. They do things for the community such as volunteer around the holidays and bond by having pajama parties. No matter if it’s on or off the course each member of the team is there for one another.